The Bucs defense wasn't exactly stellar Sunday. It gave up 475 yards and 40 points. Drew Brees, who has been known to make a lot of defenses look feeble, threw for 439 yards. 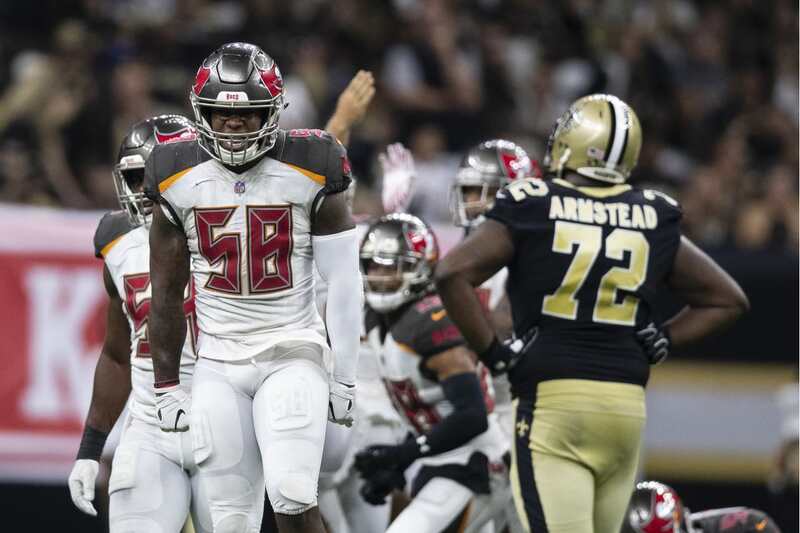 And because the defense had its troubles, the outcome was, disturbingly, in doubt until the final two minutes even though the Bucs put up 48 points. Having said all that, two big splash plays from the defense were crucial to the victory. 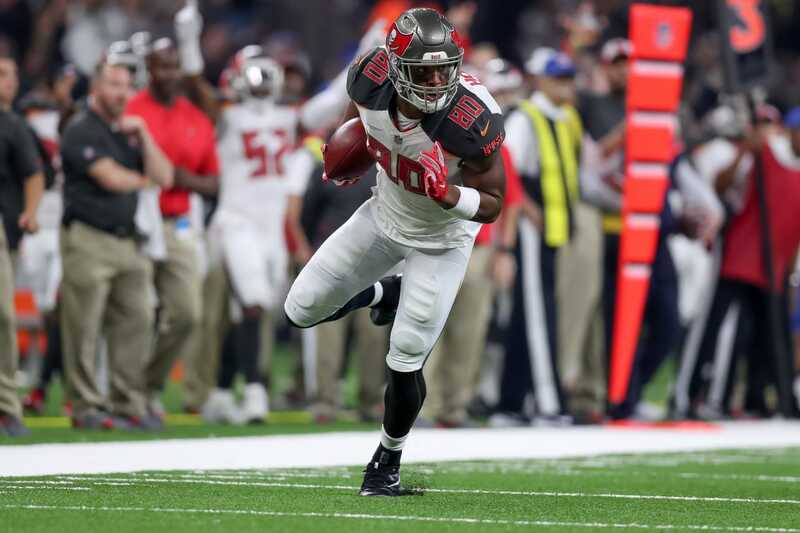 First, Justin Evans scooped up a fumble caused by Vernon Hargreaves and raced 34 yards for a touchdown to spot Tampa Bay a 31-17 lead in the second quarter. Then, in the third quarter, another fumble in the secondary — this one caused by Kwon Alexander and recovered by Ryan Smith — snuffed out another Saints drive. "What happens in a track meet?'' Bucs coach Dirk Koetter said. "Turnovers are what decide it, and that's probably what happened.'' GRADE: B for ballhawking. The final few minutes were a bit nerve-racking because, once again, the Bucs couldn't make a makeable field goal. Chandler Catanzaro could've given the Bucs a 51-32 lead and iced the game with just under five minutes left, but his 44-yard field goal attempt drifted wide right. Next thing you know, the Saints cut it to a one-score game (48-40), forcing the Bucs to pick up a first down on their last drive to close out the game. Catanzaro's miss also kept the Bucs from setting a franchise record for points in a game. Just once, Bucs fans would love to be able to trust their kicker in important situations. To his credit, Catanzaro did make two other attempts from 33 and 36 yards. GRADE: C.
Running back Ronald Jones, the Bucs' second-round pick, was inactive for Sunday's game. Despite a disappointing preseason in which Jones rushed for 22 yards on 28 carries, Bucs coaches said all the right things about Jones. Yet, the Bucs decided to sit him down, and that's a bad sign for a team that isn't what you would call loaded at running back. It's far too early to suggest Jones is a bust. He might have a long and productive career ahead of him. But Sunday was an ominous start. GRADE: Incomplete. The game got a little testy in the third quarter, especially after Bucs QB Ryan Fitzpatrick was roughed up by the Saints' David Onyemata. Two plays later, Fitzpatrick was roughed up again, this time by Marcus Davenport. By that time, Bucs guard Ali Marpet had had enough. He immediately went after Davenport and shoved him (without getting a penalty). Two plays later, Bucs center Ryan Jensen was called for unnecessary roughness while sticking up for Fitzpatrick. Give both credit for protecting their quarterback. GRADE: A. Might the Bucs have the best all-around receiving corps in the NFL? Seriously, there might not be a better crew than wide receivers Mike Evans, DeSean Jackson, Chris Godwin, Adam Humphries, and tight ends O.J. Howard and Cam Brate. There's no question that Bucs QB Ryan Fitzpatrick had a phenomenal day, but those receivers made some spectacular catches. They are so good that Fitzpatrick's biggest dilemma is figuring out which guy to throw to. GRADE: A.